The Maine Chapter currently does not have a Paddling Committee Chair. If you are interested in becoming involved, please let us know! FMI contact. The chapter does have active paddling leaders so please visit our calendar page for a list of trips. Below is some information on paddling activities in the state. Looking for whitewater trips? 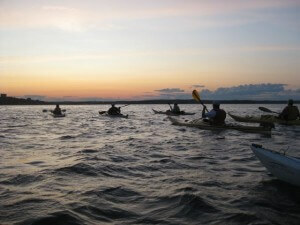 Check out the Penobscot Paddle and Chowder Society. Looking to do some Sea Kayaking or need some gear…Don’t forget our discount partners Seaspray Kayaking, Lincoln Canoe and Kayak, and Kittery Trading Post. Visit the Member Center for more information. Be sure to check out the calendar for outings with the Maine Chapter.